Horse 2 Applique - 3 Sizes! 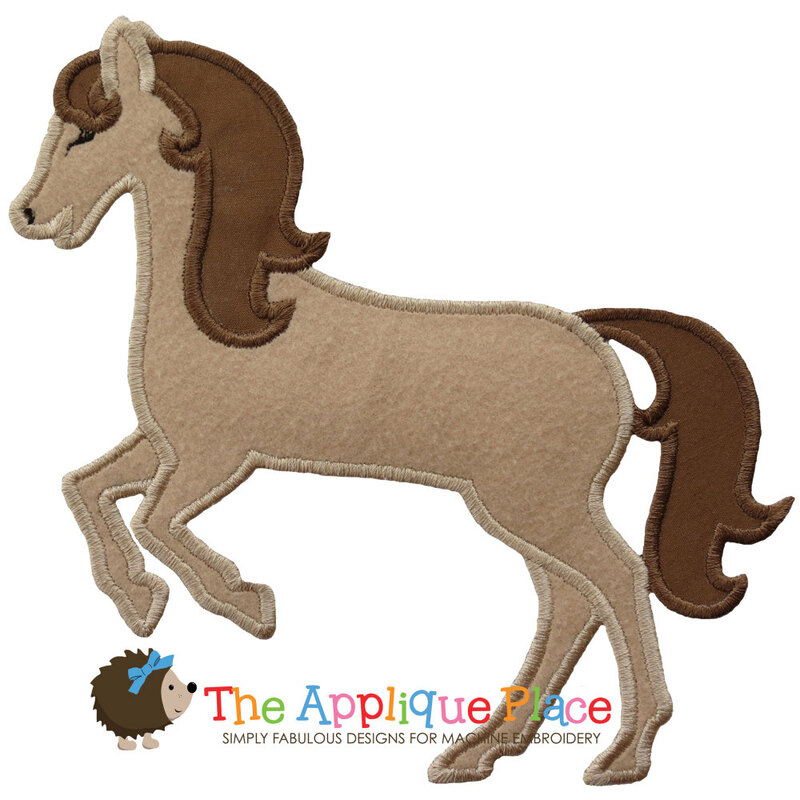 This is a cute horse applique. It's perfect for the horse lover in your life. It also looks really cute on a Birthday shirt! Horse Play Applique Set, 10 Designs - 3 Sizes! Brown Bear Applique - 3 Sizes! Buckle Tap Shoes Applique - 3 Sizes! Hedgehog Applique - 3 Sizes! Finish Size 3.86" x 3.75"
Finish Size 5.06" x 4.92"
Finish Size 6.24" x 5.97"
This design is also available in a larger set. Just click on the "Horse Play Applique Set, 10 Designs - 3 Sizes!" link in the "You might also like" section for more information.